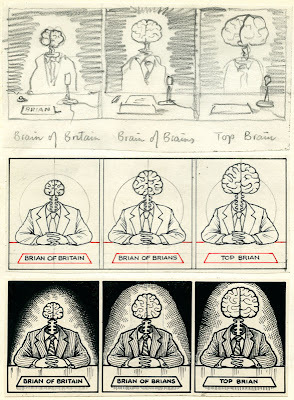 When it came to Brain of Britain on Radio 4, I knew most of the answers most weeks. Apropos nothing, I recently read Global Brain by Howard Bloom. Pencil and ink. 18cm x 14cm. Click to enlarge. Er... I may be completely missing the point, but don't you mean "brain," not "Brian?" 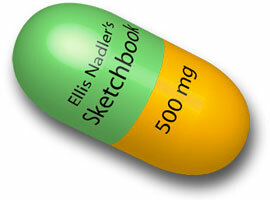 You never can tell, with Alice Nadler. Or in the case of blogging: The Evolution of Mass Crap from the Big Bang to Telling Your Friends What You Ate For Dinner Last Night. very well done- thanks for sharing the process pictures- I always love to see those!